Colorado is well know for beautiful mountains, gold mines and BEER. The Rocky Mountain Brewery was the first brewery to ever open. 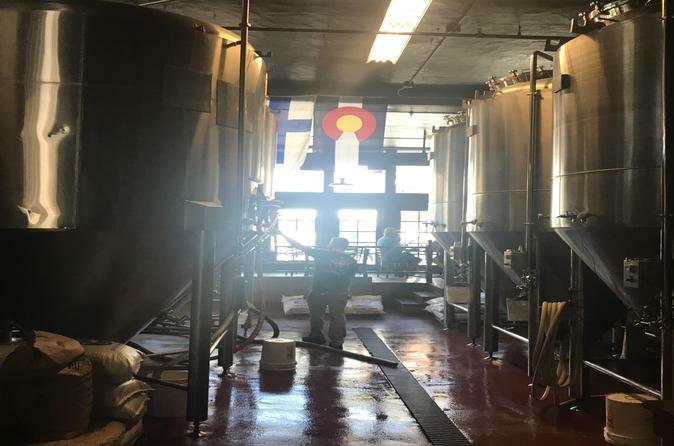 Since its inception in 1859, Denver has been in love with beer. Crowned America's best beer state, Colorado has over 3000 breweries and counting. Colorado is the ideal setting to explore and try new beers. Join us on this unique mountain Brewery tour from Denver, visit the Historic mining towns of Georgetown, Idaho Springs and Golden. Taking in some interesting historical facts about our state, Enjoy the breathtaking views while you sip on some delicious beers. We will depart Downtown Denver at 3:15 pm. Our first stop will be the historic town of Georgetown, established in 1859 during the Pikes Peak Gold Rush. This town was the historic center of the mining industry in Colorado during the late 19th century. Sitting at 8,530 above sea level, Georgetown is home to our first brewery. You'll enjoy your beer while taking in the breathtaking views, listening to the whistle blow from the Georgetown Loop Railroad. Then off to our next destination, Idaho Springs, the county seat of Clear Creek County is where George A. Jackson discovered the first gold in 1859. Idaho Springs is home of our second brewery located in the heart of the Historic Downtown Idaho Springs. Here, you will find plenty of unique Colorado shops to explore. Our third stop is the Historic town of Golden, Colorado. Established as a gold town, Golden quickly became a leading economic and political center. Golden was initially the elected capitol of the Colorado territory. Golden is home to our third brewery. Finally, we will end this tour in the vibrant Lo-Hi neighborhood. Lo-Hi is characterized by a mix of old and ultra modern architecture, some of the cities most innovative restaurants and breweries. Here you can enjoy some beautiful views of downtown Denver. Lo-Hi is home to our fourth and final brewery. Whether you are in town for a visit, or a native looking for a fun evening, this tour is great for visitors and locals alike.